It was late in the day and the sun was low in the sky producing beautiful warm light. 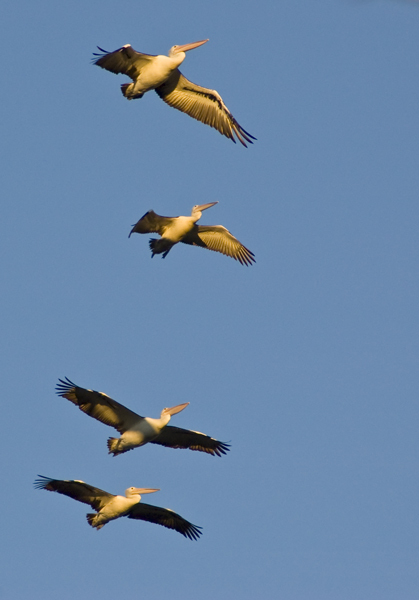 I saw these pelicans making their way west - for such large birds they are able to glide in the air for long distances. Maybe this is because they have extremely light skeletons, weighing less than 10% of their total body weight.